Mobile chair tablet: 360Á swivel (15"W x 12"D), tablet height 27", available in chestnut finish. 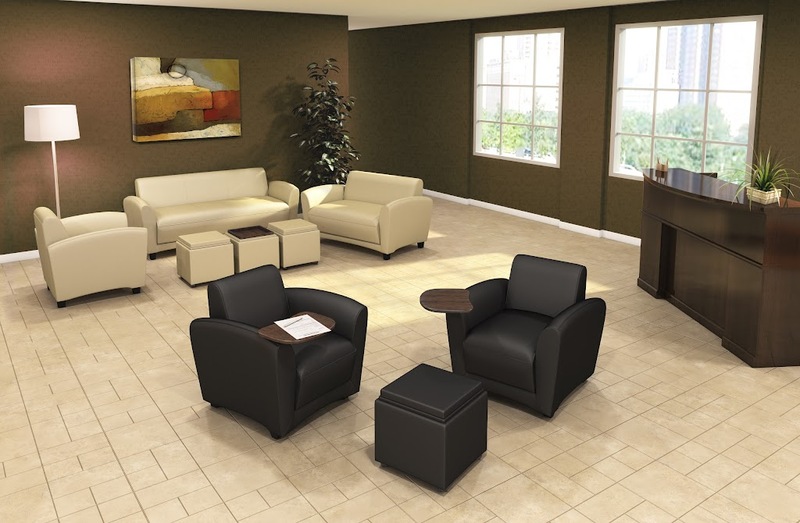 The Santa Cruz Lounge Series Sofa has buffalo split polyurethane coated leather on all seated surfaces. It has a seat that is 19"H. The Santa Cruz Lounge Series Settee has buffalo split polyurethane coated leather on all seated surfaces. 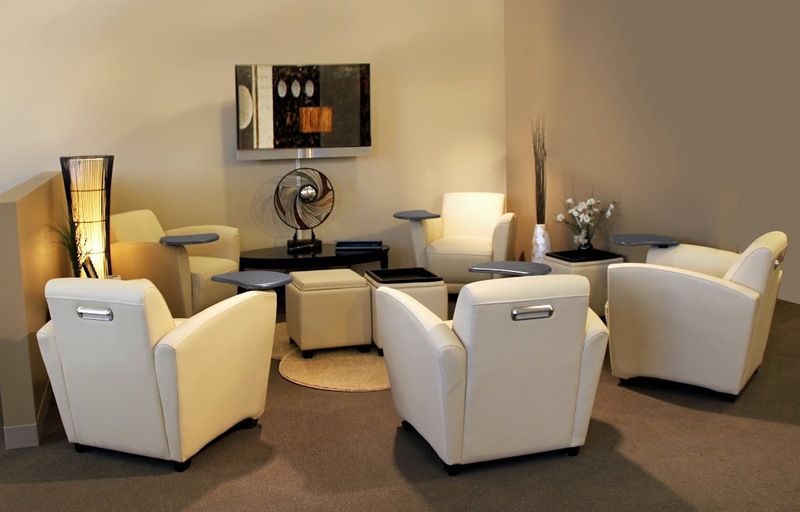 It has a seat that is 19"H.
The Santa Cruz Lounge Series Mobile Lounge Chair with Tablet has buffalo split polyurethane coated leather on all seated surfaces. It includes heavy-duty black double wheel casters in the front, and black wood feet in the back. The mobile chair tablet can swivel 360 (15"W x 12"D), and it has a 27" height. The Tablet is available in a Chestnut finish. There is a brushed aluminum handle on the mobile chair back for easy mobility. The seat has a 19"H. The Santa Cruz Lounge Series Mobile Lounge Chair has buffalo split polyurethane coated leather on all of the seated surface. The mobile chair includes heavy-duty black double wheel casters in the front, and black wood feet in the back. There is a brushed aluminum handle on the mobile chair back for easy mobility. The seat has a 19"H.